Barely 90 miles off of Florida’s US coast, travel to Cuba by US citizens was strictly prohibited for the past five decades. Now, U.S. travel restrictions have been changed to allow Americans to visit Cuba with a licensed tour operator. These new regulations enable people-to-people travel with a cultural and educational focus that which offer a great way to get an authentic look at this fascinating country and the Cuban health care system. Experience an enriching people-to-people cultural health care exchange with IMR. You will have the rare opportunity to see Cuba much differently than a tourist might. You will engage in enriching meetings, discussions and interactive experiences designed to better inform you about the complicated and intricate health care system that currently exists in this developing country. While regulations have been lifted, you will see that the walk of life for the local Cubans remains intact with its history and heritage of old. This treasured past will augment your first hand discovery of the inner-workings of the famous health care system that Cubans are so proud of. IMR will be bringing much needed medical supplies, distributing them during hospital and dental for those patients most in need. IMR is also providing extensive supplies to Cuba to enable them to care for more patients. Here you will have the rare opportunity for a medical exchange with engaging conversations about the health care system with local medical providers and officials. Tour healthcare facilities and meet patients one-on-one to learn about the intricacies of Cuban medicine. After distributing needed supplies you will be able to meet with families and learn about their own personal medical experiences. This engaging opportunity not only will leave you more knowledgable about the Cuban health care system but also give you the opportunity to share your expertise and insights as well as make significant contributions of medical supplies to this country in great need. Spend time in the main city of Havana as well as a beautiful beach village, meet the vibrant people of Cuba, and bring home your unique knowledge of the Cuban healthcare system and the people of Cuba to your workplace, community, and your heart. 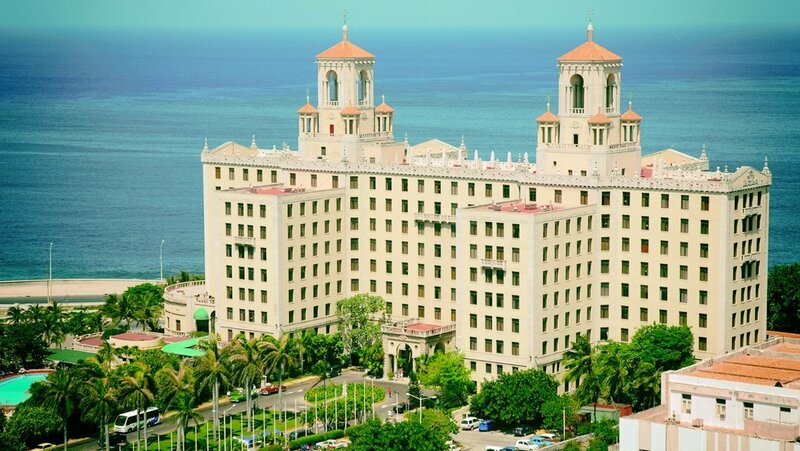 The team will stay in a wonderful hotel in Havana, certified by the government. You will love the beautiful grounds, comfortable beds, and wonderful food. Beautiful rare antiques and authentic food are unique comforts to be enjoyed in this country on the verge of exciting changes. You will be flying into Havana, arriving early in the day on March 9 and departing during daylight on March 16. There will be some special and easy paperwork to fill out if you purchase your own tickets as independent fliers. If you fly on the iMR subsidized ticket, IMR will fill this out on your behalf. You will have all the information you need prior to booking your flights. Vehicles will be safe, modern, and driven by professionals. Become submersed by the beautiful and pristine beaches of Cuba as noted in the remarkable works of Ernest Hemingway’s writings. Old Man and the Sea and For Whom the Bell Tolls were penned in this renowned region. You and your team will have learning exchanges focused on the type of medical care Cubans' receive, the local health care system, doctors and their training, and all aspects of dental care. After these wonderful cultural exchanges, where you will have the opportunity to learn about and discuss health care today with your Cuban hosts, you will be enthralled as you step back in time and enjoy the local culture. 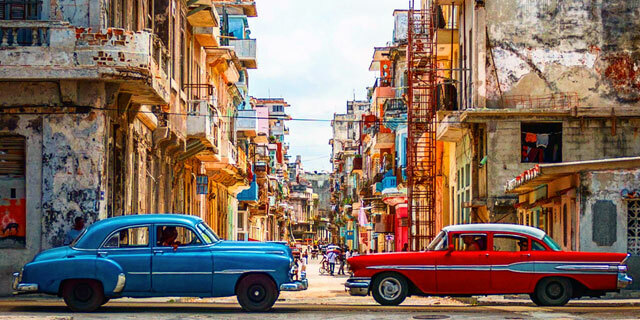 Vintage cars are the standard, farmhouses will expose the architectural charm, local guides will share about life in Cuba, and traditional music will spark the fire within. You will learn about everything from baseball to cigars on this unique and fascinating trip! Please note that this special, people-to-people program will be different from other programs on which you may have previously participated. International Medical Relief operates the people-to-people program to Cuba under a general license issued by the U.S. Department of the Treasury, Office of Foreign Assets Control and, as dictated by U.S. All participants are required to adhere to a full-time schedule of activities designed to inform, educate and promote meaningful interaction with the people of Cuba. Deviation from this itinerary, even in part, is not permitted. Per the general license requirements, this is a full-time program. This trip encourages medical and dental cultural exchanges between IMR volunteers, including medical and dental providers, nurses, therapists, students, and other volunteers, and your Cuban counterparts and government officials. Extensions are allowed and must be organized with International Medical Relief. If you are interested in extending your stay, please contact our office with the number of days you would like to stay so that we can organize this program for you. Many beautiful and historic locations are worth visiting in Cuba, particularly the UNESCO World Heritage sites, prestine beaches, the home of Ernest Hemingway, and much, much more. Unfortunately, eligibility for the $200 savings on this trip is no longer available after Dec 11th, 2018. Before Dec 11th, 2018: YES! IMR will arrange your international flight on a "group" ticket at your request! IMR Subsidized Flight: In order to qualify for the IMR Subsidized Flight, you will need to reach 50% of theMinimum Donation Amount on or before Dec 11th, 2018. Early Bird Special: A discount of $200 is awarded to team members who raise / pay 50% of the Minimum Donation Amount on or before Dec 11th, 2018.